Cob, cobb or clom (in Wales) is a natural building material made from subsoil, water, fibrous organic material (typically straw), and sometimes lime.1 The contents of subsoil naturally vary, and if it does not contain the right mixture it can be modified with sand or clay. Daub is usually created from a mixture of ingredients from three categories: binders, aggregates and reinforcement. Binders hold the mix together and can include clay, lime, chalk dust and limestone dust. Aggregates give the mix its bulk and dimensional stability through materials such as mud, sand, crushed chalk and crushed stone. Reinforcement is provided by straw, hair, hay or other fibrous materials, and helps to hold the mix together as well as to control shrinkage and provide flexibility. Are the materials necessary to make cob or wattle and daub available in the Adirondacks? I think wattle could be made use a variety of trees in the region and I am sure cob can be made nearby too, but what about in the Adirondacks specifically? What soil or quality does one need to check/test for to know if material is suitable as one of the necessary daub ingredients - binders, aggregates, and reinforcement? 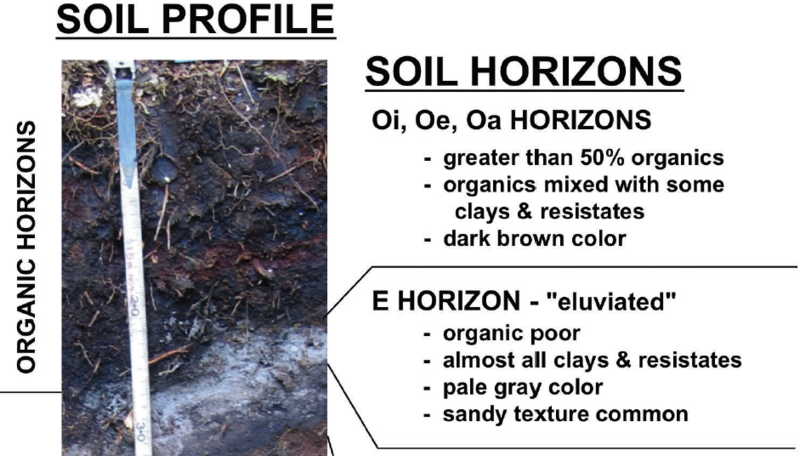 Is there a particular soil or property to look for on a service like the USDA Web Soil Survey? I read the question more as "Does what I want exist here?" rather than "Is the stuff here going to be good enough quality?" So my answer was initially in that light. OP shows in comment that what was really wanted was the latter, "Is the stuff here going to be good enough quality?" Scroll down below the horizontal line for the original answer, which I left because I think it is still very useful here. I have a common answer to questions of this type, and that is that you can do almost anything with lots of different materials. The materials might not be perfect for what you want, but that just means you have to try harder. "if I find clay in the Adirondacks (southern central), is it safe to say it's suitable for cob or daub? Same with sand? I can identify what areas have sand and clay in the soils but am not sure if all sands and clays are usable in this way." I would say yes, as you don't technically even need the clay and sand. My daughter once made a wall out of just dirt. She got it very wet, molded it into the shape she wanted, and let it sun dry. She layered it up over time so that she was building on a somewhat hard surface as opposed to having a sloppy muddy mixture from top to bottom all at once. Given that, I would say that whatever clay and/or sand you find should work since it is not strictly necessary but merely makes the end product better. A simple mud-on-stick structure will require maintenance much more often. A nicer mud + aggregate + binder mixture on a stick base will just be stronger, less susceptible to water damage (though it will probably still happen), last longer, and therefore require less maintenance. The question then becomes what kind of trade off do you want between initial complexity and effort to future maintenance requirement. Personally, I would gather the best resources I could for the bottom of the wall so make a better foundation but would then switch to simpler mud above that, and I would put more effort into the roof to guarantee the water sheds well to keep the indoor dry and the higher mud-only portion of the wall dry. If the mud gets wet, it can weaken drastically. Also, you can include rocks to improve structural integrity even more, either as a foundation, and/or within the wall itself. The simple answer to this is "Yes, it will work since it's not even necessary in the first place." If you want to go the extra mile and make sure your clay is better quality for holding together better and shedding water better, you can process it. I won't go into deep detail, as that would be a matter for a different question, but you can use water to separate the larger particles from the smaller ones, and keep the smaller particles to make better quality clay. Doing this, you can even create pottery-grade clay out of very clay-poor soil. There are articles and videos online of this if you search for making clay from dirt. Soil composition can change a lot between two points in the same area, and the Adirondacks is a huge enough area that you will encounter many different types of ground. In fact, I know of one spot (admittedly, not quite within the borders of the Adirondacks, but still in the same broader region within the nation) where the woods abruptly stop and give way to an area of sand, and further the sand abruptly stops again in another hard line which gives way to a flat field (which I happen to know does have soil with a very high clay content). That is a more drastic example, but still, it makes a point. So that provides the first reason for my "yes and no": some areas will meet your criteria and some will not. The other reason is probably more important. I am going to assume you are talking about public lands, as if it was your own private land or that of a friend or family member, you could just ask them. Even if the answer is technically yes, it will still likely be practically no as far as you are concerned, as much of the Adirondacks is a public area with rules and regulations which include adherence to the "Leave no Trace" guidelines. - Carry out what you carry in. Practice "leave no trace" camping and hiking. See also "Leave no Trace: Tips for the Adirondack Park"
And there are many other pages about the Adirondacks with rules and guidelines about specific areas within it, and I think I generally see "Practice leave no trace" on all of them. If you build stuff out of the dirt and/or clay, especially a structure, you will definitely be violating the guidelines. Even if you merely dig the area up and mess up the ground, basically any more than necessary for your waste catholes, you are still violating leave no trace. Park stewards do come out and check on things: when I made an unplanned camp one time another hiker alerted the local steward about it (the other hiker was concerned for our safety when they learned we had planned a day-trip, despite my insistence that we were fine), and the steward came in to make sure I was safe and also that I was not violating any rules... I got a 5-10 minute lecture about park guidelines, and I think she mentioned leave no trace as well. From personal experience, when I have engaged in activities similar to what you describe, I had to do it on private land. That is how I know there is very (very) clay-rich soil to the west of the Adirondacks, on the private land I was on. In some places, I could go down less than a foot and hit large deposits of clay almost everywhere I dug, high enough quality that it would only need a small amount of processing to be pottery-capable. The E-horizon is usually sandy, wavy, sometimes discontinuous, and consists mostly of resistant, uncoated quartz grains and little else. In the Adirondacks, however, clay minerals are also found here as they form from the intense weathering of silicate minerals that were once present in this horizon (April et al. 1986a). Even if there is clay in the area you are in, there is likely no clay for you. Not the answer you're looking for? Browse other questions tagged diy wilderness primitive-tools adirondacks or ask your own question. Paper bin waste suitable to stop an arrow?